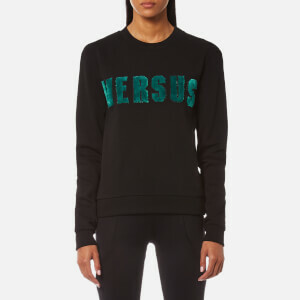 Women's black jumper from Parisian fashion label, KENZO. 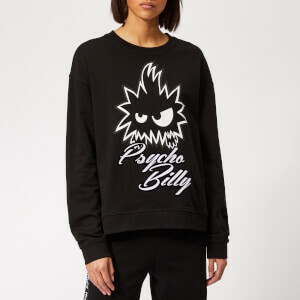 Crafted from crepe fabric with a satin interior, the pullover comprises a ribbed crew neckline and long sleeves with navy and white striped detail. 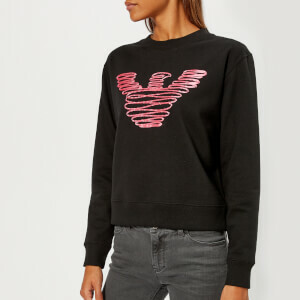 Accentuated with the brand's embroidered tiger motif to the front. Rib-knit hem and cuffs. Outer: 82% Triacetate, 18% Polyester. Lining: 100% Polyester.